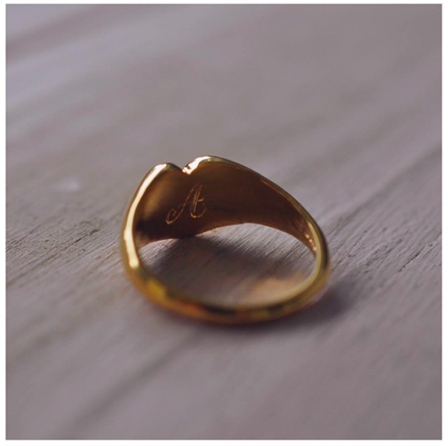 Heart Signet Ring, a timeless piece to add to your collection. The classic shape of the signet hand carved into one of my favourite shapes, the heart. With gorgeous curves and a strong shape, the Heart Signet Ring works beautifully on the pinky or ring finger.